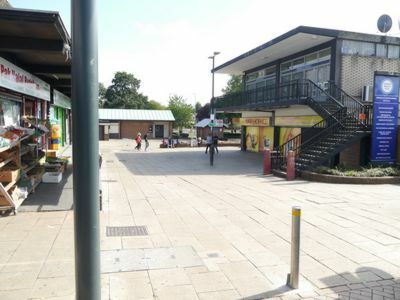 A1 ground floor unit located in a busy part of Hatfield Town Centre. The unit is approx. 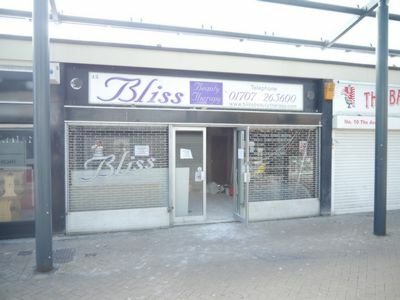 600 sq ft with sales area, partitioned rooms, kitchen and toilet as well as rear access. 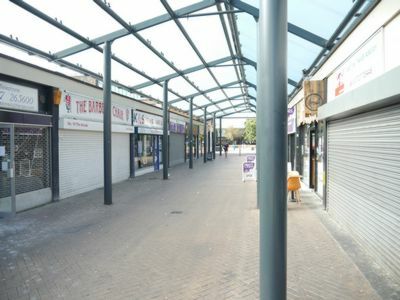 Hatfield Town Centre is undergoing a major regeneration programme with new retail units and residential properties being built. VIEWING BY APPOINTMENT ONLY. Further details to follow. RENT: £17, 500 per annum. TERMS: A new lease will be negotiated. LEGAL COSTS: Each party is responsible for their own legal costs. IMPORTANT INFORMATION: The details for this property have been created to give a fair description of the property. Should you require any further information then please contact us. Please note, that nothing in these details shall be deemed to be confirmation that the property is in structurally in good condition or that any appliances, installations, services, equipment or facilities are in good working order and services connected. Please note that we have not tested any apparatus, equipment, fixtures, fittings or services, and so cannot verify they are in working order or fit for their purpose. Any potential purchaser would need to arrange for this to be carried out. These details are a general outline only and do not constitute any part of an offer or contract. No assumptions should be made with regards to parts of the property that have been photographed as any of these photographs included in these details show only certain parts of the property. It must not be assumed that any fixtures and fittings shown in these photographs are included within the sale. Although we try to ensure accuracy, measurements used in these details are approximate, and prospective purchasers should check the accuracy of the measurements themselves. Any prospective purchaser would also be advised to make their own enquiries regarding any Planning Permissions or any potential uses referred to within these details where such information is given in good faith by Raine and Co. We would also recommend that the Local Authority be contacted regarding Information relating to rating assessments. No responsibility can be accepted for any expenses that have been incurred by potential purchasers for inspection of the properties, which have been sold, withdrawn or under offer. Raine and Co do not hold themselves responsible , in negligence or otherwise, for any loss arising from the use of these details. Raine and Co have not carried out any environmental investigations regarding the land, air or water contamination. The prospective purchaser/s are therefore responsible for finding out this information themselves by making the relevant enquiries. Please appreciate that in preparation of these details, the descriptions that have been given by the author are personal and subjective and are used in good faith as a personal opinion and not as a factual statement. We would therefore strongly recommend that you make the necessary enquiries to ensure that our descriptions are likely to match your expectations you may have. All prices and rents are exclusive of VAT, unless otherwise stated. At the time of compiling these details, it is believed that they are correct but may be subject to changes. All subsequent negotiations and terms quoted are subject to Contract.